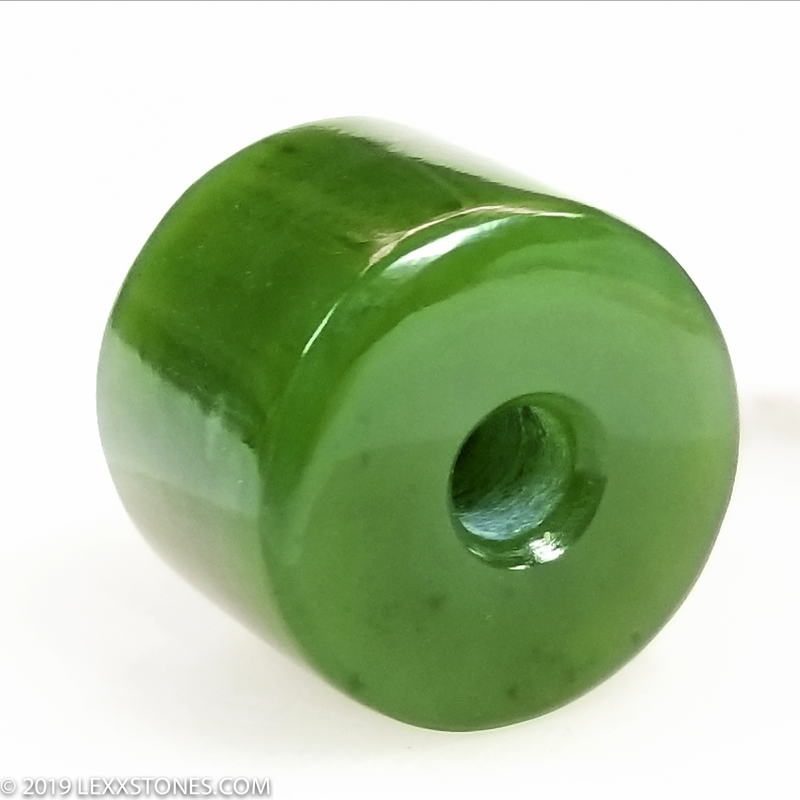 Here for your consideration is an exceptional high grade Siberian Nephrite Jade barrel bead. 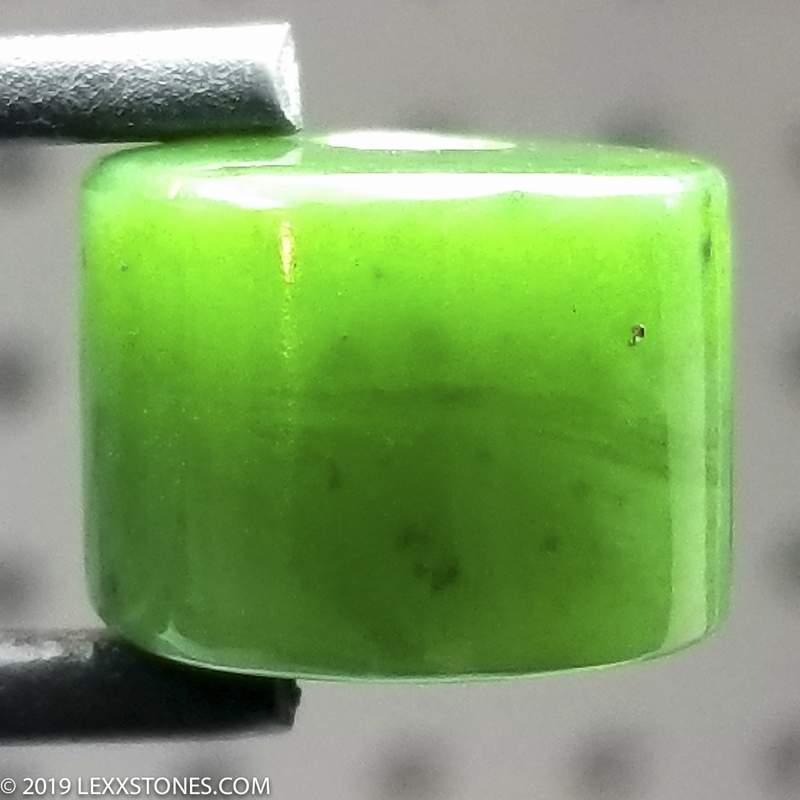 This powerful, very scarce material has an impeccably hard, tight grain, and exhibits a lovely bright, deep green that is typical with quality Siberian Nephrite. Stunning near fluorescent translucency. It is a very difficult material to mine as it comes from a very cold and very remote area of the Eastern Sayan Mountains of Russia. Vitreous polish all around. 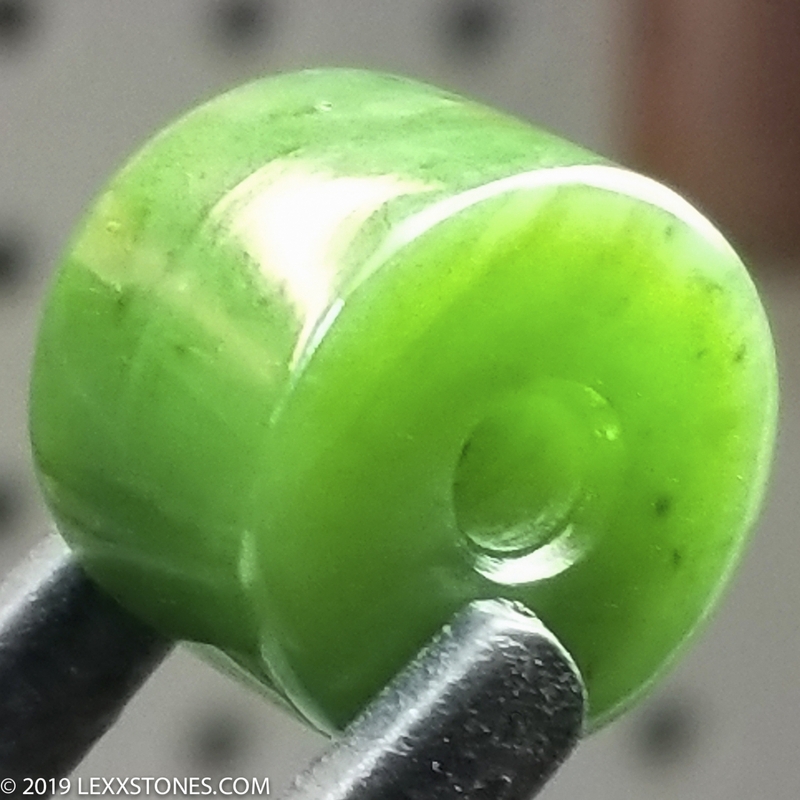 A must have for the quality Jade collecting connoisseur.. 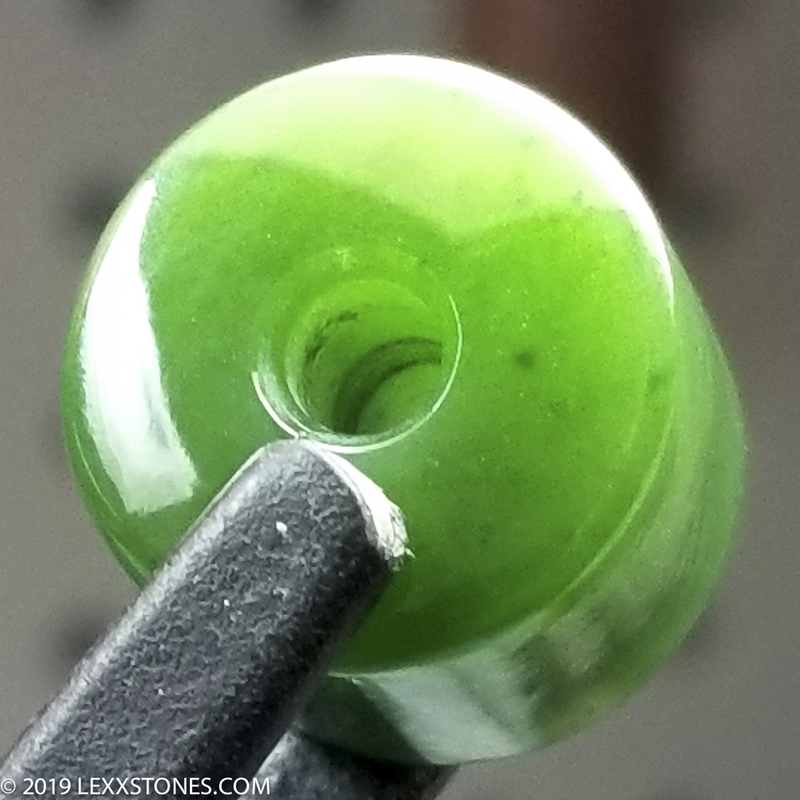 Contact Me if you'd like this beautiful bead on a leather cord with a stainless steel magnetic clasp for an additional fee.It would look fantastic on one of your own gold chains too! Photographed under full spectrum LED's. 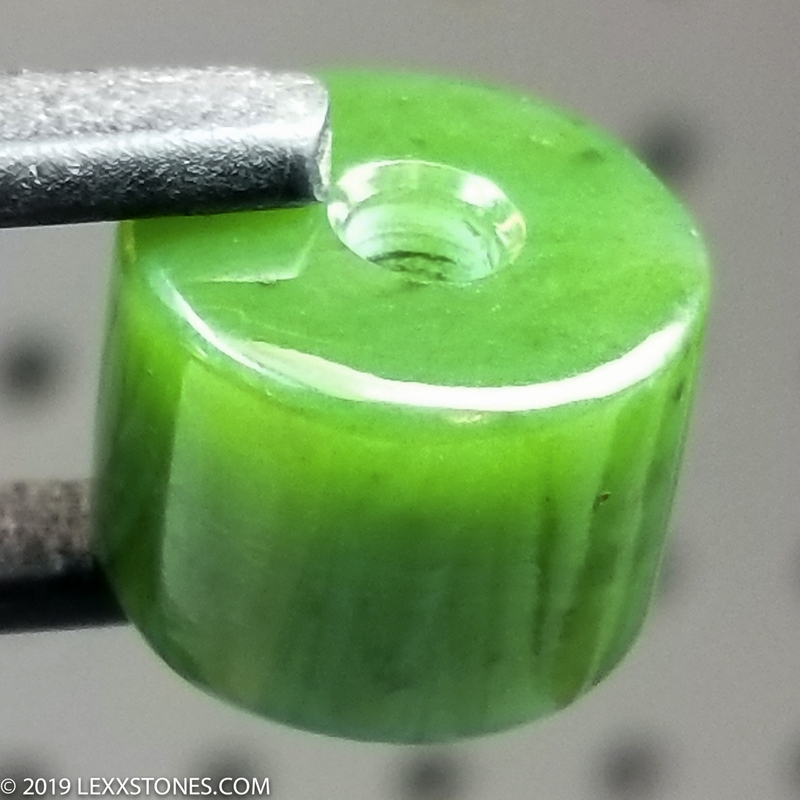 Hand cut, carved and polished by Lexx.